Generators were once items a select few household might install as precautions. Increasingly, as our homes depend more and more on electrical power for most daily functions (even gas-powered furnaces need electricity to start up and run), generators have changed from luxury options into necessities. Overtaxed power grids and extreme weather conditions make the possibility of long periods of power loss intimidating and even dangerous without the reassurances of a generator. Purchasing and connecting a generator is something you should only do with the assistance of a licensed, trained electrician. 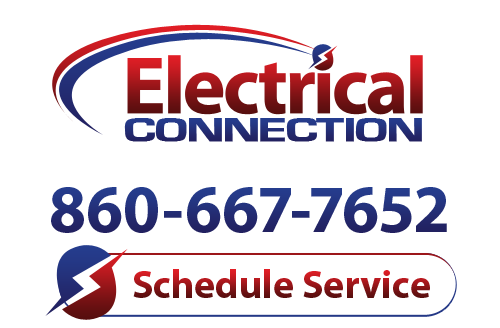 When you are interested in a new generator in Berlin, CT for your family’s protection and your peace of mind, contact Electrical Connection, Inc. today and speak to our trained technicians about our generator services. For homes that have minor needs for electrical power during an outage—such as smaller homes or ones that don’t have life-sustaining medical equipment that requires electricity to operate—a portable generator is helpful for short periods of time. You need to make certain that you are purchasing a generator with the right wattage for what systems you need to run, and you will need an electrician to help you with this as well as to show you connect the portable generator to you power system. These are generators that are permanently installed and hardwired into a home’s electrical system. How powerful a backup generator you need for your home depends on a number of factors; you must decide which systems in your home are most necessary for to run during a blackout, and balance those needs with your budget restrictions. Professional electricians will assist your with finding the right power level for your standby generator. These are similar to the standard backup generators, except they are designed to turn on automatically in case the power fails. This means that you don’t have to be home when the power goes out to activate the system, so you won’t have to worry about failing medical equipment, computer power loss, or spoiling food in the refrigerator. This is also invaluable during extreme weather conditions, since you won’t have to go outside and reach the generator to activate it. Generators come in a variety of models, sizes, and fuel types, and even if you have a good idea which of the above generators you want, you’ll need to have an electrician to help you with the process and then perform the work of installing the new unit so it does the job it’s expected to. To find the ideal generator for your home, trust the experience and knowledge of the staff at Electrical Connection, Inc. We offer professional generator and other electrical services in Berlin, CT and serve all of Connecticut since 1985. Give us a call today and schedule your next service appointment with us.